Internet reviews while shopping for a Martin. The clarity of the sound. The low tones are deep and rich while the higher notes are bright and sweet. It almost sounds like a grand piano. They were very responsive. I was told they were out of stock on the Black model. After I placed the order, I expected to wait 3 months. They looked around and found one they were holding for another customer who had subsequently opted for a different model. I received it 2 & 1/2 months earlier than I had expected. Absolutely. All they need to do to be convinced is hear it. 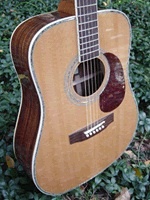 I currently play a Martin but was looking to add a Gibson CJ45. After a friend told me about the Zager, I contacted Dennis and the rest is history. I am more than pleased with the quality, playability, performance and sound of this instrument. It far surpasses anything that was said about it. It truly is a quality instrument at a more than reasonable price. Not only does is sound and play well but it is a work of art as well. This is by far the easiest guitar I have ever played and the sound quality is Superior. I highly recommend this to any player, from student to professional. I am sure they would be as pleased as I am. I would place this guitar to be easily within the $3-5,000 range. Superior... the support I got from Dennis was and remains unmatched by any other business. It is a family and once you inquire about one of their guitars you too become a part of that family. I can't stop talking about it. I have never been so excited about the purchase of any other instrument and would not hesitate to recommend Denny and his product to anyone. Good work! I am only sorry I did not know about what you have to offer earlier. 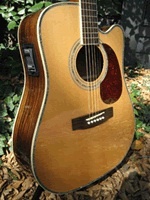 The Zager ZAD80CE has superior tone over any guitar I have played in stores or any that I own. The action is refined, but not so far that it becomes too sensitive to temperature changes. The refinement still allows the guitar owner to further refine if so desired. Overall, the combination of the string spacing, and action truly does make the guitar easier to play clean notes. By far, the best attribute of this guitar is the tone. There are several close seconds; the trim and finish are beautiful, the components are very high quality. I think the guitar is priced correctly. The tone and finish are very, very good. Some might say as good as a $3500 gibson, but the high price tag on a gibson isnt just because of its quality, but more so based on it\'s resale value and longstanding reputation. The resale value is largly based on popularity and consumer perception. customer support is absolutely excellent. Quick response and a sincere desire to make the customer happy. The Zager line of guitars is the only guitar I would recommend to others. I have held many many guitars and the Zager is a clear winner. 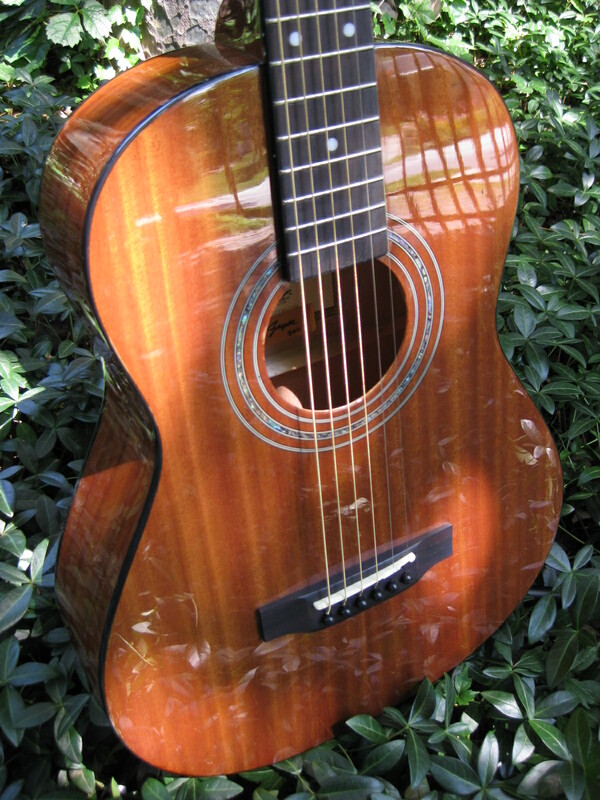 The Zegar guitar is an awesome guitar that i am sure any guitar player would enjoy. As a beginner, the combination of the guitar and the online lessons are hard to beat. The lessons take what most would consider the most difficult style of guitar playing and makes it "do-able". This guitar is great. The action is as close as I\'ve seen and very smooth. It sounds great also. It\'s also a very beautiful instrument. Haven't needed any yet, but the responses to my emails during the purchase process were instantaneous, including Sunday afternoon emails! Absolutely would and have already. It\'s as good as you can get and for a LOT less money! When you buy from Zager, you get a team response making sure that you\'re happy with your purchase. It's like buying in the "old" days. 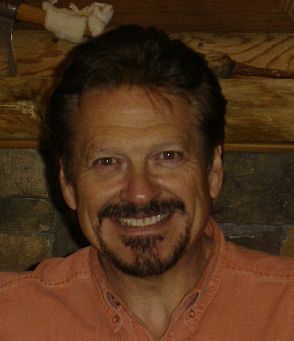 While researching guitars hand-made in the United States, I ran across Denny Zager on the Internet. I've always dreamed of owning my own guitar but until my ZAD-20 owning one was not possible. The guitars I\'ve held in stores seem like children\'s toys compared to my guitar. My guitar feels solid and smooth and strong. The workmanship and dedication that Denny puts into his guitars was obvious from the moment I unpacked my new guitar. I love the true clear sounds of my guitar. I am a beginner enrolled in Denny\'s lesson plan. I am amazed that I can actually understand and play a song in such a short time. I would have to say at least three times what I paid. Top knotch all the way! Every question I have emailed was answered almost instantly with caring, kindness and professionalism. Your people are are the best! Even when I asked an embarrassing question (which I won't repeat) I was assured that I was not the first to ask. Every product that I asked about was in my mailbox within a day or two. Zager is the only company that I have ever ordered from that has not tried to nickle and dime me to death. All the little extras that you have sent me were never expected and are greatly appreciated. You people are wonderful!! You better believe it! I would hate to see any of my friends go in debt to own a dream come true guitar. 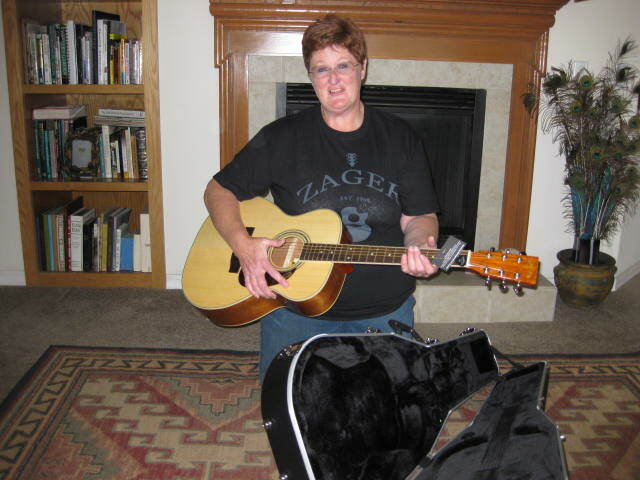 Zager has made it possible for people with a love of music to own a guitar AND take lessons that are easy to understand without robbing a bank. I am sure I will be buying another guitar from you in the near future. The on-line lessons are wonderful. Many people with a busy lifestyle like me have diffuculty taking lessons because there are simply not enough hours in the day. With the on-line lessons you can take lessons at your leisure, even if it happens to be 2:00 in the morning. Being able to view the lessons over and over again also is a huge help when you get stuck on a problem. I cannot say enough to show my appreciation. All my life I have wanted to play a guitar but living on a farm, raising children and working full time leaves little room for anything else. Now the children are grown and I am able to spend a little more time on myself. I get a HUGE satisfaction everytime I open my guitar case and see my ZAD-20. I don\'t care if I ever play for an audience other than my husband (who encouraged me to buy from you) or my horse. It brings me great joy to play. Random search of ratings on the internet. Extremely easier to play, and the sound is at least as good as guitars costing two or three times as much. Probably the playability. 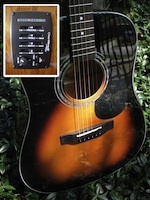 This guitar is great for both fingerstyle and flat pick. Very quick, emails are answered the same day, usually within an hour or two. I have already done so, two friends are strongly considering a purchase. The combination of playability and sound quality really are unmatched in any guitar I've seen within at least twice or more of the price. I love the guitar. it\'s the best sounding one that I\'ve owned. 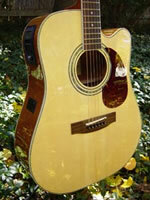 And I\'ve owned Guild, Lowden or Takamini. The tone. It resonates. And the playability. I really have no idea. I paid over $2000 for the Lowden. Definitely. Quality, tone and playability for a great price. Thinking about one of the amplified ones. Thanks Denny Zager! As I am not a professional guitar player, I can only state how it feels,looks and sounds in regards to others I have played and the one that I own: Simply stated there is no comparison! the ZAD80 has such an incredible richness in tone, it is every bit as easy to play as the advertisement says, weight feels perfect and the workmanship simply superb! The beauty! the wood is amazing,the inlays immaculate and of course the sound, pride in workmanship says it all. Zager has without doubt the best customer support I have encountered anywhere, emails are answered very quickly, answers to questions are given freely and completely so even someone that does not know guitars can be assured they are being given the best advise: Case in Point; when I wrote and said I was unsure of which model would be best for me as a beginner, I was given an entire explanation of what to expect from the ZAD20 and the ZAD80 with the ZAD20 (the lower priced model) being recommended to me. The only reason I decided to go with the ZAD80 instead was its sheer beauty. The customer support is unbeatable and this type of honesty and knowledge is priceless. In a heartbeat, quality, quality and quality! I found I was dealing what totally honest and professional guitar maker, willing to provide explanations and guidance. The workmanship speaks for itself, when I received and finally opened the case after it allow to come to room temperature, I simply held it and marveled at its beauty! When I played a couple of notes on it I knew I had made a well informed choice. Recommended by a friend. Researched on the internet. Check out Zagerguitar dot com web site. This guitar is the best price performing guitar I have found on the market. Quality and workmanship are first class. Action is best I have owned. This guitar plays nicer than Martins that I have owned. Finish is awesome. Best value I have yet to find anywhere. Customer support is the best I have ever experienced. Questions by email or phone are answered very promptly. Shipping and handling are the best in the market. Guitar comes complete with pick, humidity indicator, spare set of strings and lots of recommendations on how to get the best value out of your purchase. Such as, what strap should you use on your guitar and why? Comes with a life time guarantee. 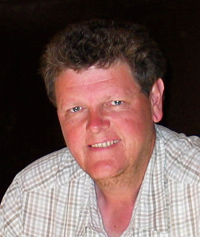 Denny\'s web site has lots of hints and tips that show his commitment to happy delighted customers. Quality, service, value for your money and life time guarantee. Not to mention..
No comparison. I have owned a Guild 25, Alvarez, presently own a Seagull 25th anniversary which is overall very nice to play and the string spacing is why I bought it, but this Zagar that I just got is superb in every way and much more enjoyable to play in the way it is constructed. Top shelf is how I would put it. I like the comfortable feel of the neck and the extra wide spacing between strings as my fingers are rather large. 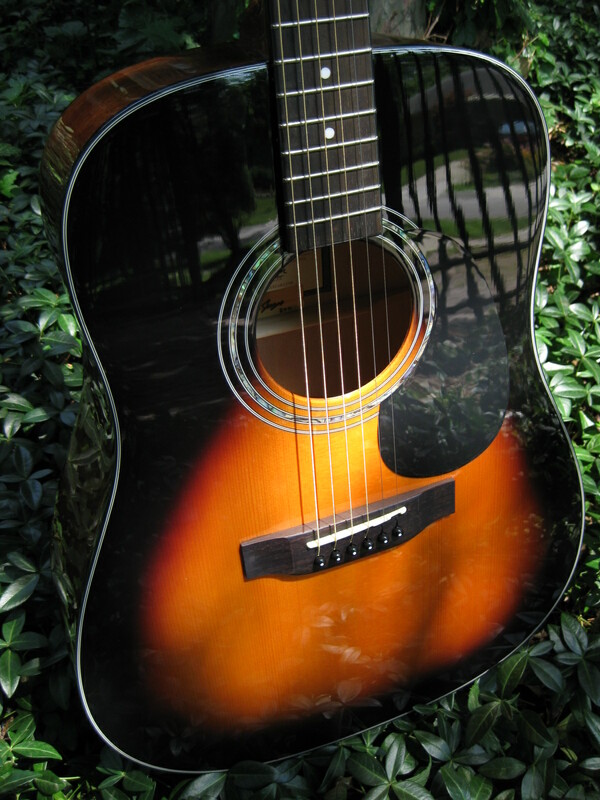 I also love the looks of the Sunburst and the pearl inlay around the sound hole. You have to see it to appreciate it. It\'s a joy to look at and play. I would never want another guitar, EVER! I would price it around the $1200 range. I not only would, but I will for every reason stated above. You couldn\'t possibley get a better quality guitar unless maybe you want to spend a couple of thousand dollars and even then, I don\'t know if it would be any better. This company has been making these guitars since 1969 so they are well established. There is no possible way that you could lose by purchasing one of these outstanding guitars as Zagar has a 100% money back guarantee and that even includes free shipping both ways should you not like it so it costs you nothing.........I don\'t think you\'ll be sending it back though once you open the box and see it and then play it! You will then become another believer and satisfied customer who would be more than happy to send in a comment just as I am doing here. I only wish I had known about this guitar company years ago! Zagar Guitar is simply superb! A commercial on the radio. This guitar stands on its own. It is the best sounding guitar I\'ve played in nearly 40 years of playing. The action and the feel of the neck. For years I have suffered with pain in my chording hand. The pain in my fingers while playing and after that went to the bones and the joints. I experience no pain whatsoever with the Zager guitar. There is no buzz. The sound is great with a pick or fingerpicking and it holds its tuning. Excellent guitar and craftsmanship. Yes, and I would strongly recommend this guitar to anyone who has pain that comes with years of playing and age. I cannot express in words the joy I feel over the pure pleasure of playing a guitar without pain. I am deeply grateful that Mr. Zager cared enough to make his guitars for people like myself. I have nothing but praise for the Zager guitar and it looks great. I OWN A FENDER CASTER, LES PAUL GIBSON, MARTIN D-28, G SERIES TAKAMINE, AND SEVERAL OTHERS. WHAT I NEEDED WAS ANOTHER GUITAR. 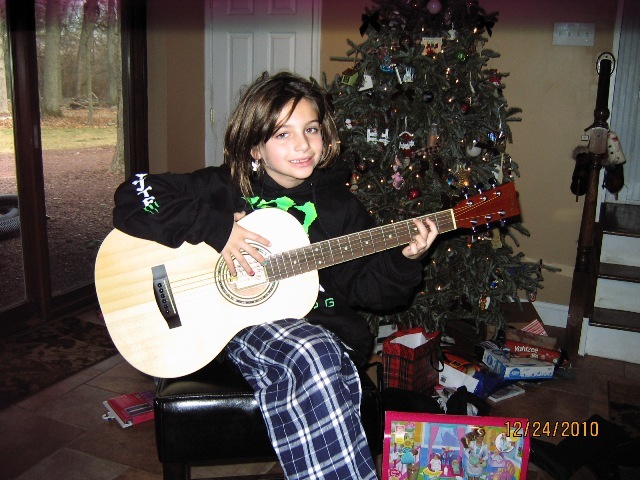 WHAT CAN I SAY, I LOVE GUITARS. WILL HAVE TO SAY THE ZAD-20CE IS A FINE INSTRUMENT. NICE SOUND, FANTASTIC APPEARANCE, WELL CONSTRUCTED, AND PLAYS LIKE A DREAM. LIKE SEVERAL THINGS ABOUT THIS GUITAR. SOUNDS REALLY NICE THROUGH MY FENDER AMP, THE FINISH IS FLAWLESS, AND THE EASY PLAY SET-UP, IS WONDERFUL. DANNY REALLY KNOWS HOW TO SET UP A GUITAR. 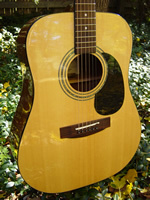 THE ZAD-20CE IS EVERYTHING I WANTED IN AN ACOUSTIC. I WOULD HAVE EXPECTED THIS GUITAR TO BE PRICED MUCH HIGHER. PROBABLY IN THE $1200 TO $1500 RANGE. FOR WHAT I PAID, I AM WELLED PLEASED. VERY GOOD GUITAR FOR THE PRICE. CUSTOMER SUPPORT AT ZAGER IS OUTSTANDING. I SENT THEM AN EMAIL AND GOT AN ANSWER IN ONLY A FEW MINUTES. THE BATTERY IN MY HUMIDITY GAUGE, WAS BAD, AND I HAD NEW BATTERIES WITHIN A FEW DAYS. NO QUESTIONS OR PROBLEMS. ALL MY QUESTION WHERE ANSWERED IN A TIMELY AND COURTEOUS MANNER. I WOULD RECOMMEND THIS GUITAR TO ANYONE WANTING A GREAT ELECTRIC ACCOUSTIC. FOR THE PRICE, YOU CAN\'T BEAT IT. I\'VE HAD MINE FOR 4-5 MONTHS, WITHOUT ANY PROBLEMS, WHAT SO EVER. ONE THING I HAVE NOTICED, IS HOW WELL SHE STAYS TUNED, AND I\'M STILL ON THE ORGINAL SET OF STRINGS. ALSO THE ON BOARD TUNER IS REALLY A PLUS, WHEN AND IF SHE SHOULD DRIFT A BIT, WHICH ISN\'T OFTEN. THE ZAD-20CE HAS REALLY BEEN A GOOD CHOICE. I AM REALLY ENJOYING IT. THANKS DANNY FOR SUCH A GREAT DEAL. ALSO I SPENT THE EXTRA $100 FOR THE CASE, AND IT WAS WELL WORTH IT. The guitar is very well made and the tonal quality is fantastic. It looks great and it plays great. I already have and I will continue to recommend the guitar to others. All you need to do is try some guitars in the 2000 dollar range and then try one of these in order to know that the Zager is a better value. I have found guitars in that range that are really nice but nothing at around a thousand that is even close. I am a novice. One of the things that stopped me from improving was finger pain from pressing on the strings. No pain with this guitar. Also, the sound is tremendous! Excellent! Who ever heard of getting a response to an Email within minutes? I can't put the dang thing down! I was talking with my brother who heard about your guitars and looked you up on the internet. I had a seagull guitar made in Canada I started out with, and after reading the reviews on your guitars and checking out other guitars at the music stores I wanted to try one of yours. At the price for a quality guitar you sell, some of the others were far to expensive to justify. After playing your guitar and can feel the difference in the way it plays to the way my old guitar played. Overall the guitar is beautiful and well built, being a carpenter and being fussy how things should be, I appreciate the time and effort, patience and pride it take to build something of quality, and I would say you have done this on this guitar. I would think that this guitar could easily be worth two to three times more than what you are selling them for. Thumbs up, you could not ask for better support. I have already started to promote this guitar to my friends and family. I have a friend that has a marten guitar and he can hardly wait to play mind. Keep up the good work, you have a quality product, and is nice to see the little guy get a piece of the action. Jealousy gets you nowhere, you need step up or step out, so don't get to discouraged about some negative comments. It does not compare too much out there. This guitar is perfect right out of the box. EZ Play is exactly that, EZ to play. I have had (30+ year professionals) comment that it's probably one of the nicest guitars they ever played. Where did you get this guitar, they ask? What\'s that name again, they ask? I have friends that play, and when they come over to my home, the first thing they ask is, "where is the Zager?" It's depndability and ease of playing! Yes! because I know my recommendation to others would never cause me embarassment. This is the second Zager guitar I have purchased and I am completely and 100% satisfied with the experience. Denny, thanks for doing what you do! I heard about it on the internet and found a link on Ebay while searching for other guitars. My Zager has better sound than the Martin that I owned. The action is way better than both of those guitars. I can play for at least an hour longer everyday and it is more rewarding to play as it is easier on the fingers. I do a lot of jams and more often than not 3-4 people gather around after the jam to try my Zager. My guitar stands out amongst the others in the jam. The sound is more crisp and the volume is great even without the amp. When I plug it into the amp people cannot believe the quality. I do not have to tune this guitar as often as the Martin and when I do it just has to be moved a 1000th of an inch to bring it right on. I have never owned a guitar that has kept tuned as nice as this one. I sit next to others in my jam sessions who have Martins and they cannot believe the quality of the sound that is coming from my guitar. The quality of the sound and the quality of the guitar. I really take pride in taking this guitar out of the case and putting it on display. I am really proud to own this guitar. I would estimate this guitar to be in the 2500 to 3000 range. Customer support is the best I have ever experienced. Zager takes pride in having \"delighted happy customers\". I am planning to buy another guitar from Zager. I am planning to buy another Zager. That is the best recommendation anyone can make. Its one thing to say your happy with the product you bought, its another to say your are so happy that you want to buy another one. The quality of this guitar is amongst the finest that I have seen. The Abalone inlay is stunning. The action on this guitar is the best I have ever had. Zager has the best web site I have seen. If you want a great purchase experience an easy to play guitar that sounds awesome and the best support available check out ZagerGuitar.com. You will be a delighted happy customer. Zager does not ship to Canada so I had mine shipped to the closest US border city. I drove 120 miles to pick it up. It was worth every bit of my time and I would do it all again for my next guitar from Zager.